How is it November already? I can’t believe it! I say it all the time but it’s true. 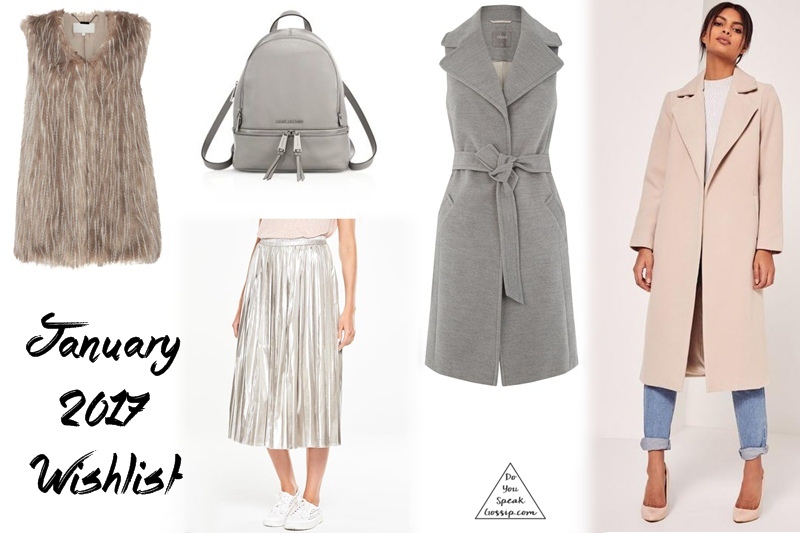 For this month’s wishlist I wanted to include all the items I’d love to buy right now. Starting with a pair of over the knee boots! I’m not even sure they’d look good on me, but I’m planning to try them and see. I also want a black leather backpack, because I don’t have one, and it will look cool with many of my looks. Another pair of culottes, preferably in gray; a gray pair of pointy pumps, with no platform and around 10-12cm heel, and last but not least, some more colorful sweaters. I’ve no idea where I’m gonna put them, but I sure want them in my collection. And that sums up my wishlist for the month of November. Do you also want to buy any of these items? 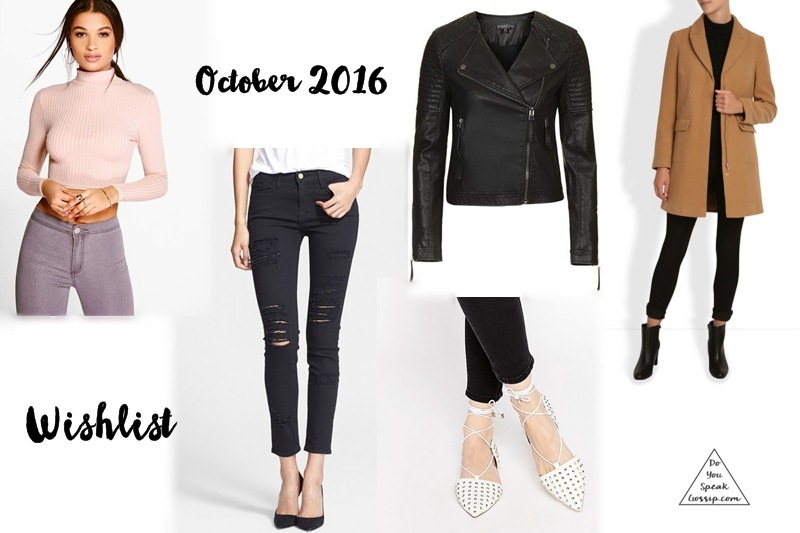 September’s wishlist is quite simple, and actually consists of two complete looks that share a bag together. You can wear both looks from day to night, depending on your personal style, or you can wear the first, and then change into the second one for the night. They’re both super simple and comfortable based on black, but I added a pop of color because I couldn’t resist this beautiful green. The one on the left is a jumpsuit by Self Portrait which I absolutely love, and I could be writing hours and hours about the brand. The bag is absolutely pretty, and the sneakers are a purchase I want to make since last year, but still hesitate. What do you think?